Restaurants in Ohio and Texas are trying out the Grand Mac and Mac Jr.
McDonald's appears to be considering a number of new menu possibilities. In the wake of its successful launch of All-Day Breakfast, the fast food chain is reportedly tinkering with its signature Big Mac. Columbus Business First, a business publication in Columbus, Ohio, reports that McDonald's is experimenting with the Big Mac, offering the burger in different sizes. There has been no official comment from McDonald's corporate entity, but the Ohio publication reports the local McDonald's franchises announced the move in a press release. It says local television ads are promoting the new products, with the test in Columbus and Dallas running through June 6. 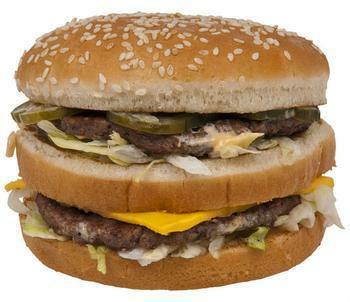 According to the ads, the Big Mac is being joined by the Grand Mac and the Mac Jr, all constructed the same way as the original, just in larger and smaller sizes. McDonald's stock price is up sharply in the wake of its success with All-Day Breakfast, perhaps encouraging the company to take other bold steps. In recent weeks, the company has reportedly phased out it's wraps and a franchisee in Missouri has introduced the concept of all-you-can-eat French fries. McDonald's may also resume catering to local tastes, depending on the markets where its restaurants are located. CNBC reported this week that McDonald's restaurants in the Milwaukee area will bring back Johnsonville Brats, although the company removed the menu item seven years ago. What's behind the menu shake-up at the iconic fast food franchise? The Street.com recently speculated that recently appointed CEO Steve Easterbrook has brought about a culture change. Not an easy thing to do, it says, for a company of its size.